Ahead of Sunday's Manchester derby, Manchester United manager Jose Mourinho has admitted his side must continue to improve in order to achieve a good result against Manchester City. After a challenging start to the season, Mourinho's side have managed to secure positive results against the likes of Chelsea and Juventus in recent weeks. They now sit seventh in the Premier League, whilst qualification from Group H in the Champions League is now in their hands. Mourinho's pre-match press conference was transcribed by the ​Manchester Evening News. He stated that he is wary of ​City's strength, but also keen for his side to continue their impressive recent form. Mourinho said: "We are going to try, I cannot say we are going to be successful in our motivations, in our desire, but we played two difficult matches away against two very good teams, ​Chelsea and ​Juventus, and we managed to get good results. "Even if the good results were not in our pockets, the performances were there, the positive attitude was there, so we are going to try but you are right, Manchester City are a very powerful team." 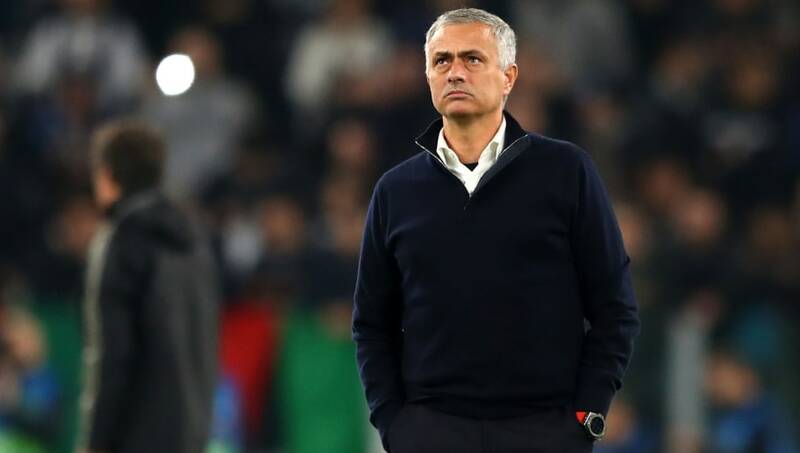 Mourinho also discussed his team's recent comebacks, including against both Chelsea and Juventus, admitting that his team must stop conceding the first goal in a match. He said: "We can go to the other side, why we always concede before opposition. In a positive way, it is easy to feel a team that does not give up, always find a way to fight back - sometimes changing results, sometimes not - but we are a team that has that collective spirit to fight back, but is not always possible. "If we keep conceding goals before the opportunity there will be a day where we cannot come back, so we have to grow up in our approach, because is clear the team is growing up, but we have to grow up in our compactness and start matches well. "Against Juventus it happened, we concede the goal min 60 or something like that and we had a good start. In the first 15 or 20 mins we were totally in control." Finally, Mourinho analysed the race for the ​Premier League title. ​United can move to six points behind City with a victory on Sunday, but Mourinho was reluctant to be caught up in the excitement, admitting that it is not a foregone conclusion that they will emerge victorious. He said: "If we drew is nine, if we lose is 12. I don’t think is the way to look at the match. "We have to just think about the match, is difficult enough by an isolated event, if you want to put that match into the context of where we are where we can be. "I want to play it as an isolated match, a difficult match against difficult team, but they think is a difficult match for them."